The boys aged 11-16 have been missing since their coach took them to the cave complex on Saturday after a practice match. 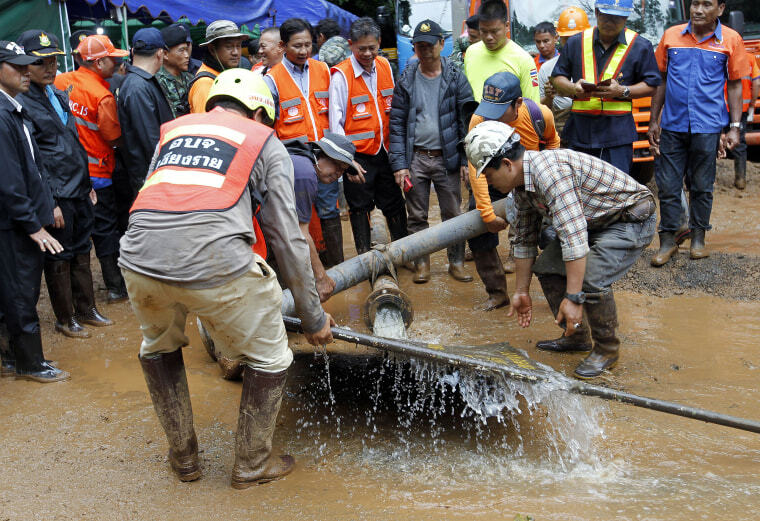 MAE SAI, Thailand — Heavy rainfall stymied efforts to rescue members of a youth soccer team trapped in a cave in northern Thailand by flooding underground passages faster than water can be pumped out, a senior official said Wednesday. "We still have hope. All agencies are trying their best. We have a challenge from the water level that keeps rising," Thai army chief Gen. Chalermchai Sittisart told reporters at the site. "We are adding more pumps to lower the level down so that the SEAL team could operate better."